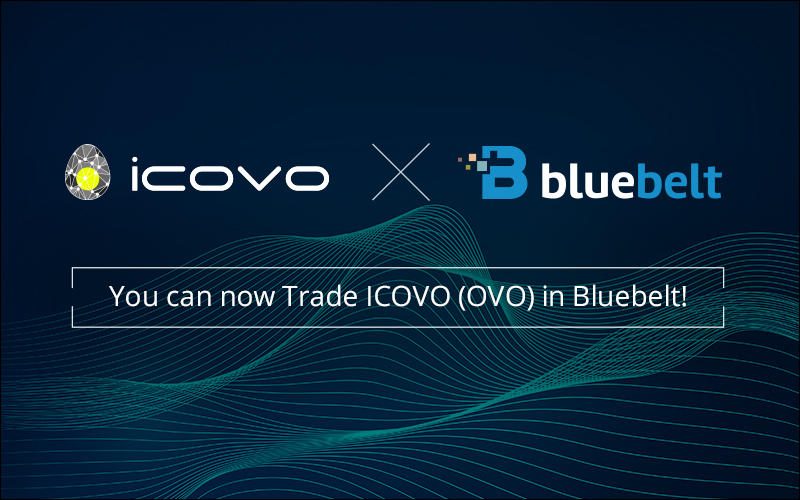 HomeCompany NewsYou can now Trade ICOVO (OVO) in Bluebelt! We gladly announce that our users will be able to deposit, withdraw, and trade ICOVO (OVO) tokens on Bluebelt starting on February 15, 2019, at UTC 00:00! ICOVO is a cryptocurrency project that allows users to retrieve their investment money through just a vote when ICO fails to meet the expectations of users. The OVO token, which is issued in ICOVO’s ICO, is a specialized cryptocurrency for procuring ICO investments. – OVO will be used as a payment for all the services offered by ICOVO. – OVO tokens are mandatory for exercising voting rights and returning profits. – Investors can enjoy a 25% discount when they buy projects using OVO tokens. – As the value of OVO increases, there is a higher chance of creating a healthy ICO environment. ICOVO aims to increase project transparency, protect investors, and reduce barriers for ICO participation and increase the projected durability. ICOVO’s vision is geared toward creating a healthy fundraising environment through the use of a decentralized fund management system. To make fundraising possible, DAICO platforms will be implemented in each blockchain. ICOVO was able to reach 7,099 ETH worth of OVO tokens during their ICO which ended last year. Though the fundraising did not reach 33,000 ETH due to the significant drop in the crypto market, the DAICOVO was completed and was already released in Github. Users can already download the app both in Android and iOS. Buy and trade your OVO tokens now in Bluebelt Exchange. Happy trading!! !